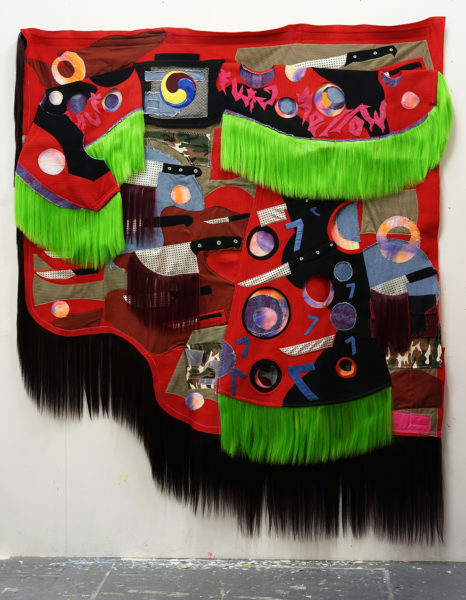 Zadie Xa (b.1983) is a Korean-Canadian artist with a strong focus on ‘making’, combining and exploring her own identity through film and performance, textiles and painting. 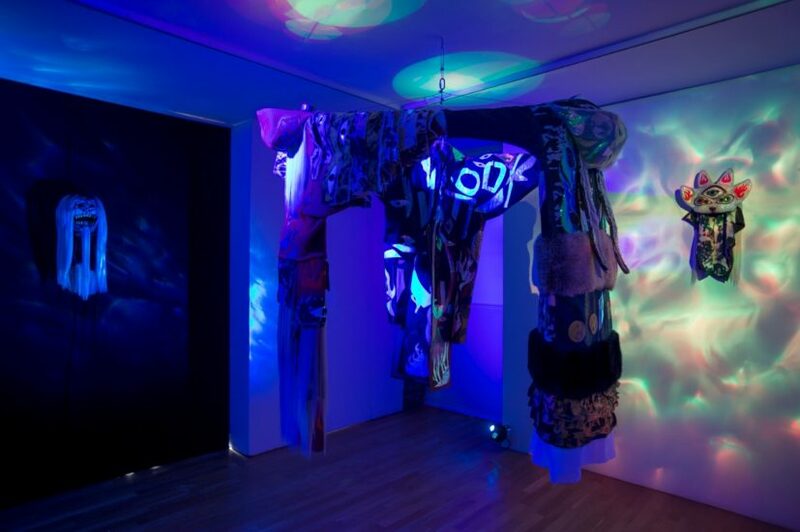 Based in London since studying at the Royal College of Art, Xa investigates the issues of belonging and identity through an idiosyncratic lens, drawing influence from both the fantasy and the lived experience within the Korean diaspora. 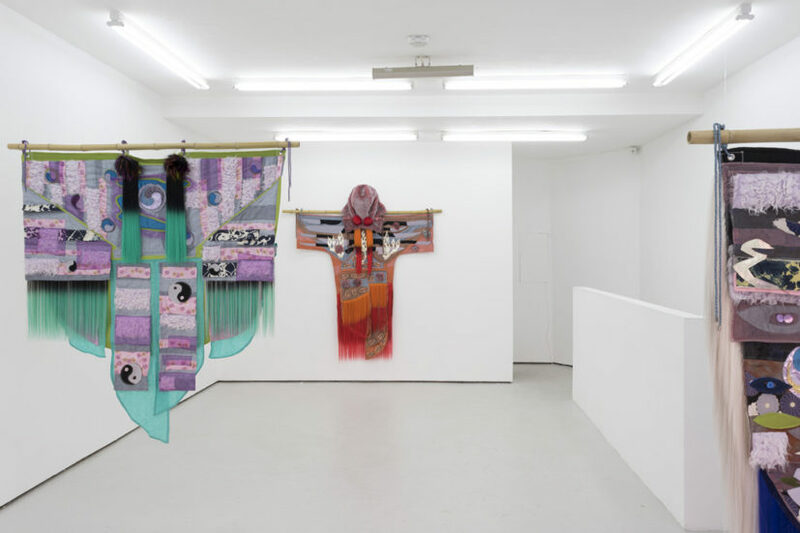 Her engagement with these issues of place and belonging become entirely relevant to current issues, where questions of self-identity within society are continually examined across all forms of media. 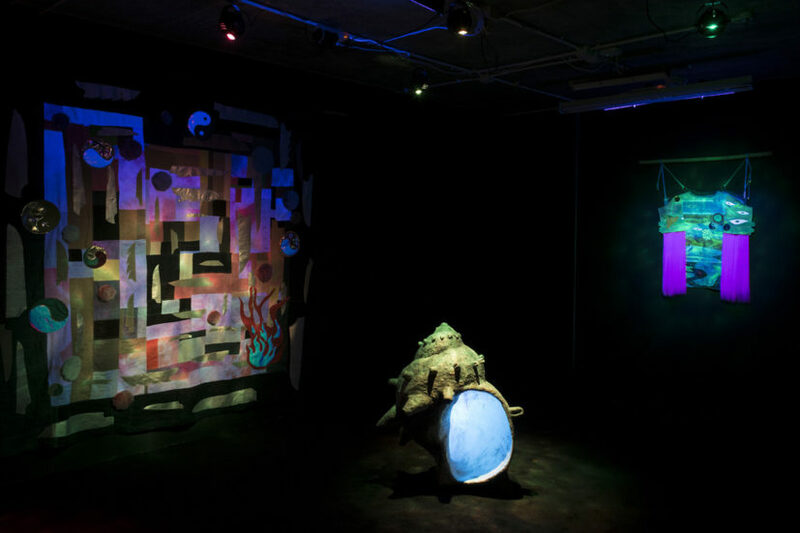 Xa recently had her first major solo show in London, HOMEBOY 3030: Return the Tiger 2 the Mountain, at Union Pacific in May 2018. 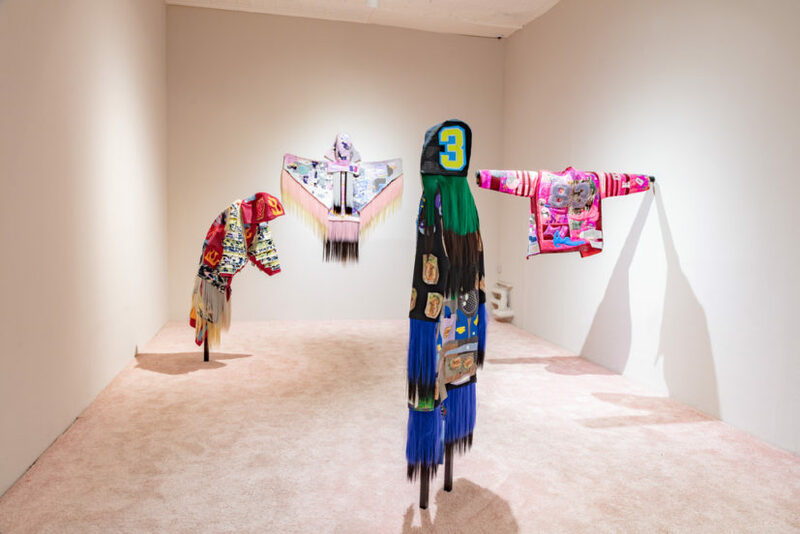 The exhibition tactfully employed a mix of both textiles and painting, using a cross-cultural visual language that thinks about Korean histories and their intersection with a western setting. The tapestry-like costumes suspended from the ceilings had delicately appliquéd motifs which spoke to a Korean-aesthetic at the junction with western capitalism. Her interest in Korean histories is rooted in her own experience of the diaspora, with a particular focus on Korean Shamanism. For centuries Shamanism has been sidelined to the fringes of society by Korea’s occupying powers and the growth of Christianity, but has seen a resurgence in recent decades. 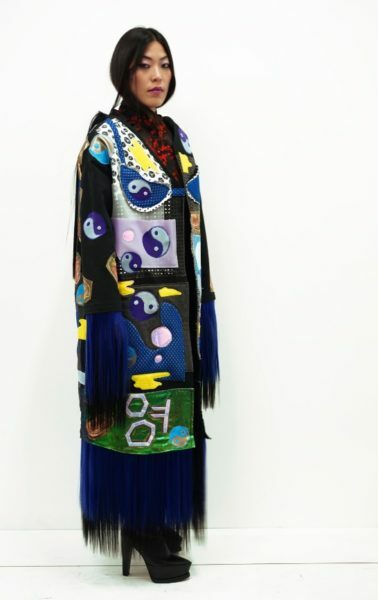 Because Shamans are almost entirely women, their role disrupts the highly patriarchal Korean culture, growing in relevance today where wider representation is increasingly demanded. This October at Frieze, Zadie’s own experience with performance will be materialised within a semi-closed structure, a solo booth with sliding door. 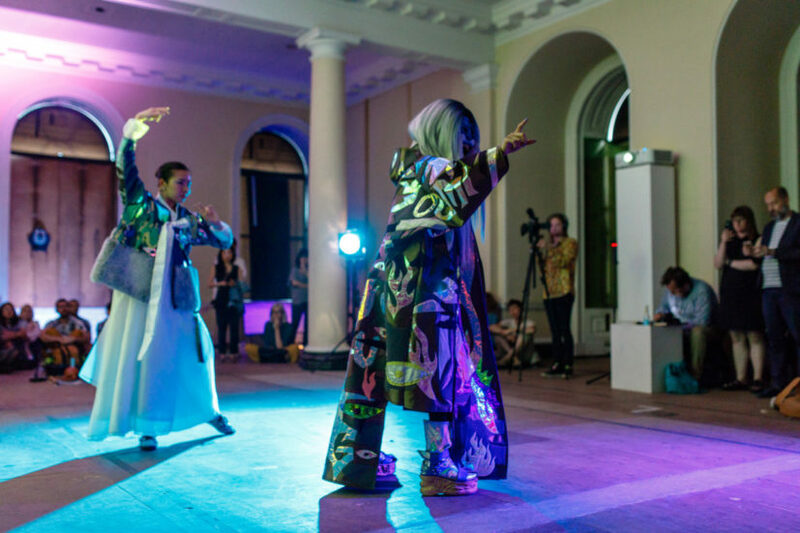 Xa is creating a world where Eastern tradition clashes with western aesthetics. 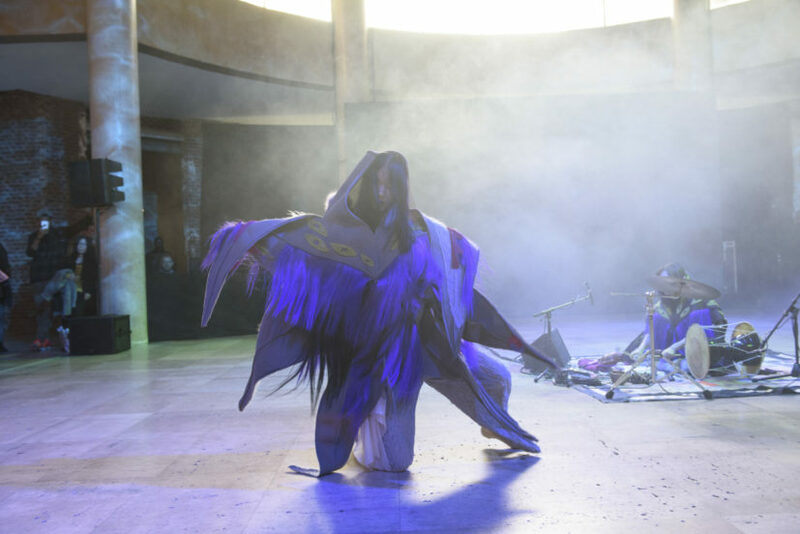 Visually complex and painstaking, her cloaks and masks all indicate the act of wearing, each with its own ceremonial quality, pushing for audience engagement. With upcoming exhibitions in Los Angeles, Mexico, and Tucson, Zadie Xa is an artist whose work is evolving, creating interesting dialogues that allow us to continually reassess locations of culture and identity.